I think there were weeks where I slept only in ½ hour chunks. My memory of this time is fuzzy because I was basically existing in a haze of coffee and Pepsi. 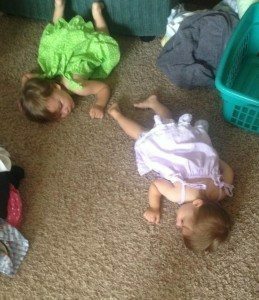 Then there was that horrible week when my twins were both sick and I slept sitting up on the couch holding one baby (then put her down sooooo carefully because her sister woke up). 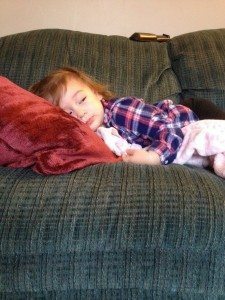 There were the nights when hubby was on the loveseat and I was on the couch each holding a baby, willing her silently to PLEASE go to sleep! I think we have tried EVERYTHING at one point or another. 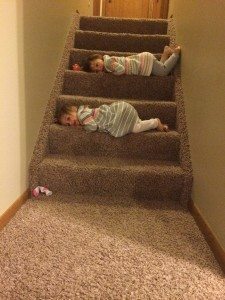 Unfortunately our girls have always responded to different sleep techniques. If left to calm herself, one eventually would, but her sister would become inconsolable and irate! My motto has always been that we need to do what works for our kids, at that time. Unfortunately, as parents, there is a huge looming cloud of judgment that we feel from all directions: Some there, some imagined, some self-inflicted. We really need to stop judging each other, and instead support our fellow parents. If a solution is safe, and it works for your family at the time…really it is no one else’s place to judge. So in that spirit, please don’t judge me because I’m pretty sure we have tried everything and some of the solutions are clearly not my first choice. 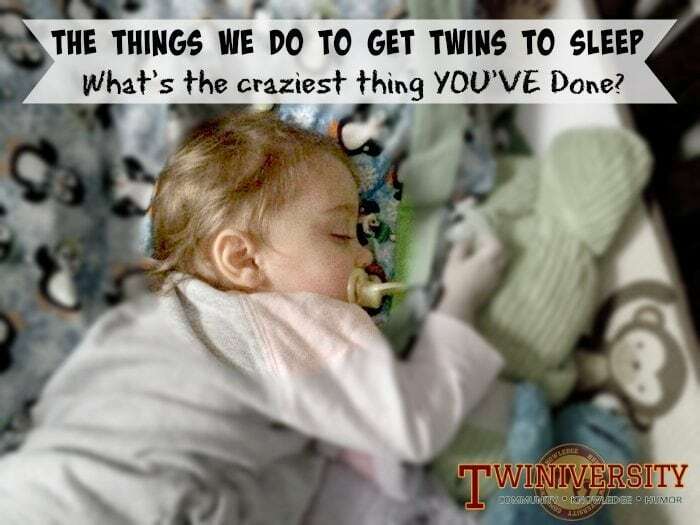 But when you have twins (or more) there is always another child to care for, so you can’t simply “sleep when they sleep”, because if they don’t nap together…(insert dramatic music) **dun dun dunnnnn**!!!! Here is a list of the issues our girls have had over their almost two years and what we’ve done to try to solve those issues. I’m sharing not because I recommend all of these but it’s because when you are exhausted you struggle to think clearly! Hopefully one of these solutions might work for you. Some of them worked at the time, but I’ve found that between traveling to see family, colds, teething, growth spurts, and just growing up, we have about a 2 week window for any solution that seems to work before we have to try something new. In the beginning, they slept well (at least from what I remember!) Around 4-5 months we had some major issues start up. They just didn’t want to go to bed. Put them in their cribs and let them cry and did the check in at 5 min, check back in 10, etc. (I tried to read up on the “cry it out” method but I was too tired to even process so this might not be accurate.) 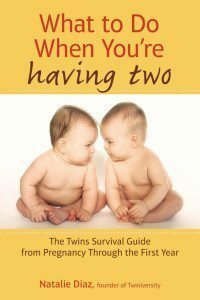 It worked for one twin for a while, but her sister would turn almost purple because she screamed so loud and it would take a half hour to calm her when I did go get her. Sat between the cribs reading, ignoring them but just being in there so they weren’t scared. THEN there’s the “super quiet army crawl out of the room once they fell asleep”, using their breathable bumpers as my shield, hoping to get to the hallway unseen, as you curse every squeaky floorboard! Each of us slept on the couch holding one baby. We tried a super strict routine of bath, dim the lights, give cup of milk, read stories, snuggle and off to bed for weeks hoping that would make bedtime smoother. Try to let one sleep in bed with us (when they were older), but then I didn’t sleep because I was so worried something would happen. Let them sleep with the lamp on in their room. Used night time diapers put on them at the absolute last minute before bed to ensure they are as dry as possible. Put them in heavier PJs. Put them in ONLY footie jammies because if they wore two-piece jammies and took their socks off they woke up later screaming. Put them in lighter PJs. Turned up the heat at night. Turned down the heat before they go to bed. Finally gave up and let them watch Sesame Street in the playpen in the living room until they gave up and went to sleep. We’ve also tired…sorry TRIED (can you tell what I’m thinking about?) moving their bedtime back later because they didn’t seem tired, AND also putting them to bed earlier because they seem to be getting OVERLY tired and then can’t settle down. One or both didn’t want to go to sleep at all. 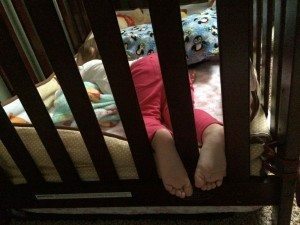 One or both decided they didn’t want to sleep in their crib. They would fall asleep on us, then wake when we moved them (EVERY time). One twin woke the other up. One or both woke up screaming from night terrors. They’ve gone to bed fine, then woken up an hour after going to sleep and refused to go back in their cribs or back to sleep. They’ve decided that 4 am is morning, after they had dropped their night feedings 6 months before. They’ve screamed when we started reading stories because that was the cue it was bedtime, screaming before we even got them in their room. 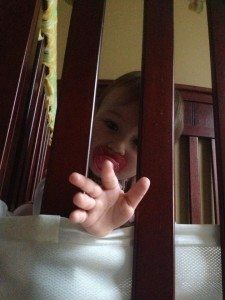 They were fine until we put them in their cribs. Then they’d scream like their crib was filled with hot lava. 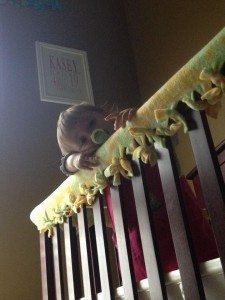 They would even refuse to tell their visiting grandparents “good night” because they knew what that meant, and temper tantrums ensued (because we put them to bed anyway) because they apparently weren’t ready for bed. Currently at 2 years old we do bath, cup of milk while we snuggle for 15 minutes of their favorite show, brush teeth, read a story, select current favorite stuffed animal to take to bed (right now Sydney loves Big Bird and Kasey wants Abby Cadabby), say good night to the cat and the clock and then they go down pretty well (around 8:30pm). But now that I’ve said that I’ve probably jinxed myself — for tonight at least! I guess the moral of all this is that you might have to be a little creative and flexible in your solutions. 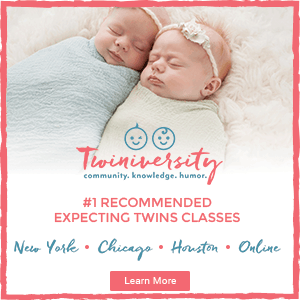 If you have one baby that isn’t sleeping, you might be able to sleep in the recliner holding him/her but if you have TWO (OR more… triplet and quad parents you are incredible! )… what do you do? 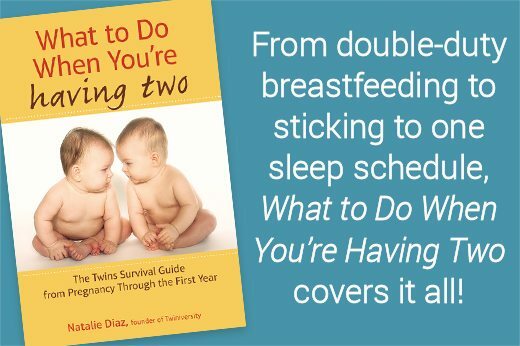 Just because something worked perfectly for someone else (and their baby slept through the night since they were 4 weeks old), doesn’t mean that it will work for you. And you shouldn’t feel badly if it doesn’t. It isn’t a reflection of your parenting abilities. Hang in there Mamas and Daddies! 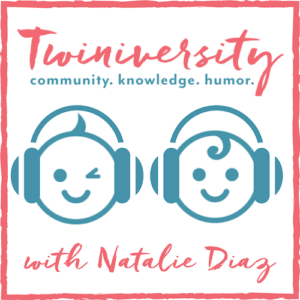 Stephanie Cleland is a high school teacher who traded in her teen students for adorable twin toddlers and now spends her days entertaining her 1 year old “twinadoes”. 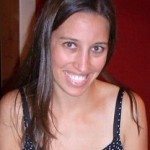 She married her college sweet heart, Kirk, and her hobbies include scrapbooking and other creative projects. She also is working on a blog ilovemytwinadoes.weebly.com.